Photographer Guillermo Maroto and team have created a new motorised camera slider in the form of the HARROPE S2, which offers a new modular motorised slider for any type of camera. Enabling photographers and videographers to record stunning videos with smooth and precise movements. The camera slider consists of modular components and the rails can easily be lengthened to your exact requirements by purchasing similar tubing from a hardware store. Pledges are available from €149 for the S2 Panmotor enabling those who own the S1 to upgrade if desired. If all goes well worldwide shipping is expected to take place sometime around June 2019. 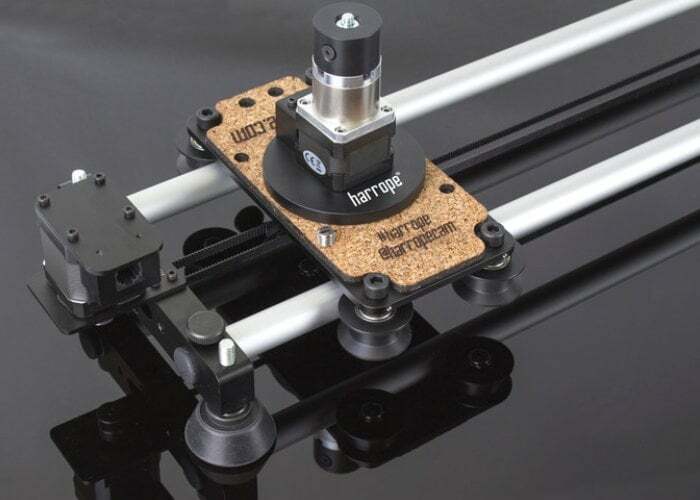 The slider is controlled not by a smartphone application but by a dedicated easy-to-use controller that can be used to set the motion of the slider and planning angles and is compatible with any stepper motor. Watch the demonstration video below to learn more about the construction, features.